The Housing Market Is Coming Back! 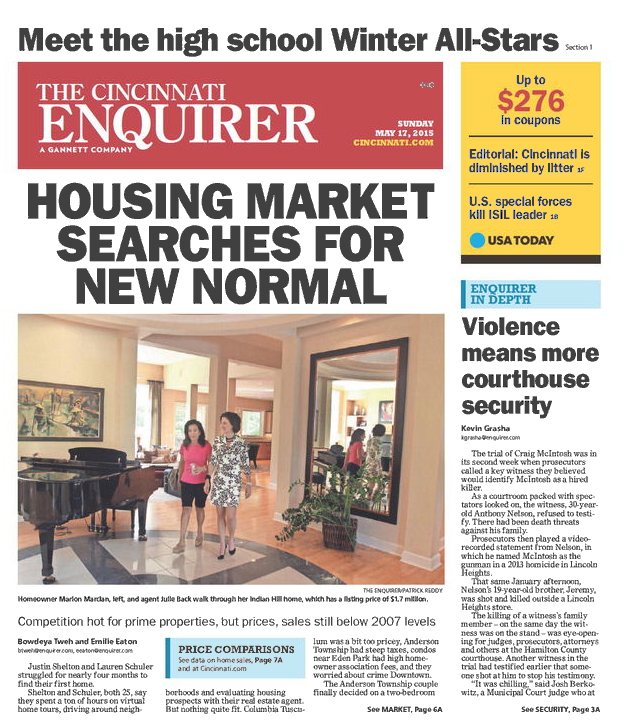 The Cincinnati Enquirer featured a front-page story about the real estate market on Sunday, May 17, 2015. Reporters Bowedya Tweh and Emilie Eaton interviewed Sibcy Cline president Rob Sibcy as well as Hyde Park agent Julie Back about current market conditions. Although some communities have not reached their housing values from 2007, quite a few have recovered including Colerain Township, Hyde Park, Mason, Middletown, Mt. Lookout, Northside, Springfield Township West, Symmes Township and Wyoming. 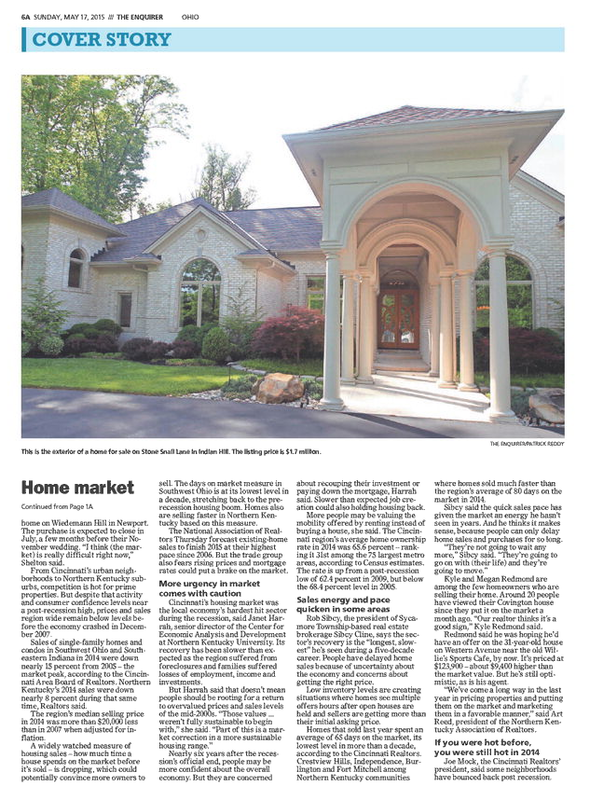 With a pent up demand for homes, buyers are eager to find that dream home and have created a brisk sales market in many communities. 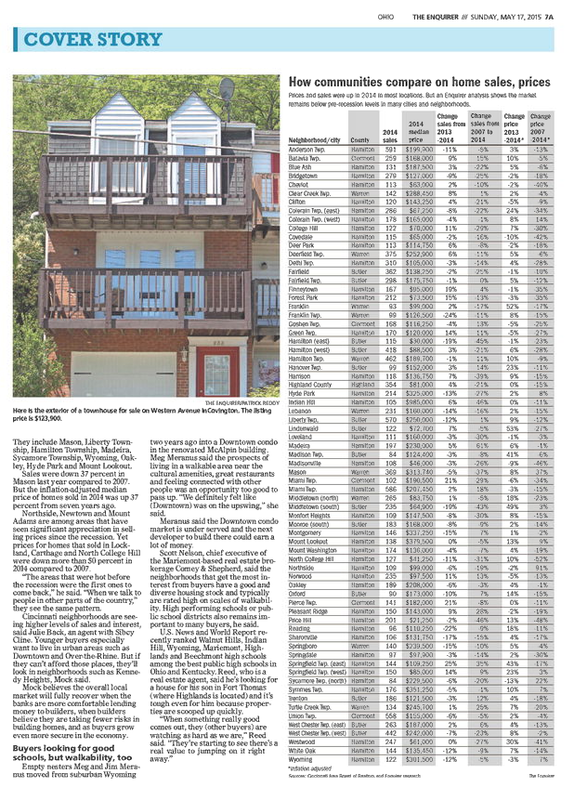 Some homes sell within hours of being listed with multiple offers. This entry was posted in Buying A Home, Communities, House Trends, News, Real Estate and tagged Cincinnati Enquirer, Home values in Cincinnati, housing market by susanaknabe. Bookmark the permalink. There’s definately a lot tto know about this subject.